Any child who participates in some sort of sport can be subject to some kind of injury at one time or another. Regardless of the sport, kids can be taught to stretch their limits while learning sportsmanship. However, this can come at a price when it comes to sports injuries in kids. If you can understand the causes of such sports injuries and the best ways to avoid them, athletics can turn into a very positive and rewarding experience for your child. There are several reasons why kids can be at risk for sports injuries. Kids that are younger than eight years old have slower reaction times and are not as coordinated as adults due to the growth and development process. Kids are also known to mature at varying rates, which can mean weight and height differences within the same age group. While playing sports together, these differences can lead to a higher risk of injury. As children grow and they get stronger, the injury potential will increase due to the amount of force that is involved. For example, two pee-wee football players that are smaller who collide will not have as much force on impact as two teenaged football players. Additionally, kids are generally not the best judge of risks when involved in certain activities. Proper Equipment – Regardless of the sport, the right equipment has to be used at all times and that all of it is fitted to the child. For example, helmets should be work for bike riding, softball, baseball, hockey, and riding skateboard, scooters, and inline skates. Never be afraid to ask your child’s coach about the best gear to wear – including cups, supports, padding, shoes, and mouthguards. When it comes to some sort of sport that involves a ball or puck, there should also be protective eyewear as part of the attire. Playing Surfaces – Any playing surface should be in good condition, which means not ruts or holes that can cause children to trip and fall. Any kids doing higher-impact sports should be doing them on forgiving surfaces like wooden courts or tracks instead of hard concrete. Supervision – Not only should kids be adequately supervised during team activities but you need to be sure that there is a commitment to safety and the prevention of injuries. Coaches should also be trained in CPR, and the safety and well-being of participants should also be in the forefront. No child should ever be encouraged to play through an injury. The three common types of injuries in the sporting real will include acute injuries, reinjuries, and overuse injuries. An acute injury happens quickly and will often be associated with a trauma of some type. This can include bruises, strains, and sprains. More severe acute injuries will be damage to the eye, concussions, ligament trauma, or injury to the spinal cord. The more severe injuries tend to happen if there is improper equipment being used. Reinjuries and overuse injuries can also be avoided by paying attention to repetitive actions and being proactive about bracing and caring for the part of the body that has become damaged. No child should ever go back into the game until they have healed properly. All athletes, regardless of age, are prone to the risk of reinjury when they get back into action sooner than recommended. If you are concerned about your child and sports injuries, podiatry in Mercer Island will be extremely beneficial. A podiatrist will be able to treat a variety of conditions and injuries to the foot and ankle region. In addition to care and treatment, you will also be able to learn all of the best ways to prevent injury from happening moving forward. 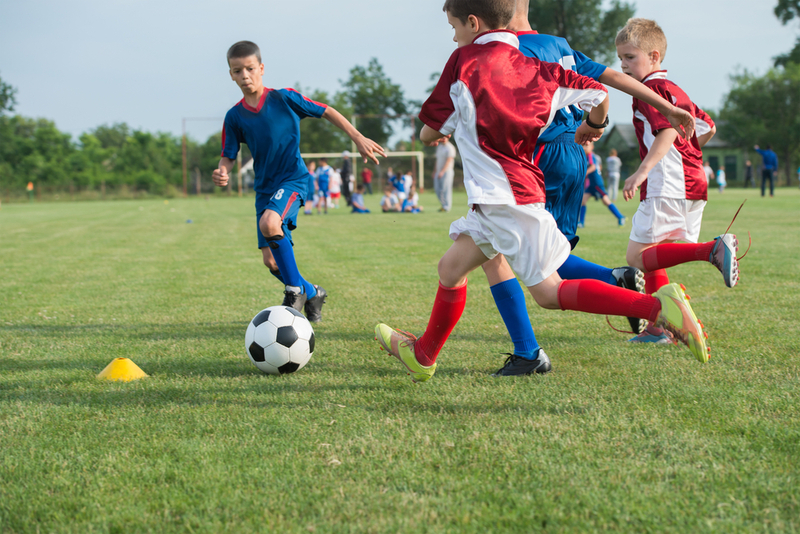 Look to Mill Creek Foot & Ankle Clinic for help with sports injuries in kids. Call Dr. Hansen at (425) 375-2484 or Dr. Hall at (425) 482-6663 for more information.